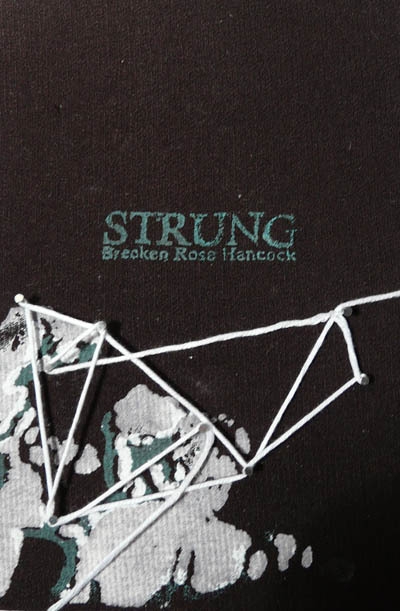 The poems in Strung meditate on transience and seek transformative metaphors (metaphors that juxtapose decay and rebirth) to come to terms with death and its alteration of both the natural world and the interpersonal world. Focusing on family relationships, the collection dwells on landscape and its connection to the body; the construction and deconstruction of childhood memory; the numinous quality behind/within the mundane; and the way places and relationships reinvent and recreate themselves in cycles. 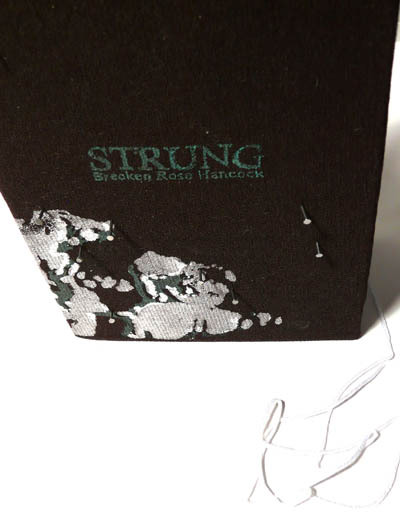 Materials: silk-screened cloth, nails, string.